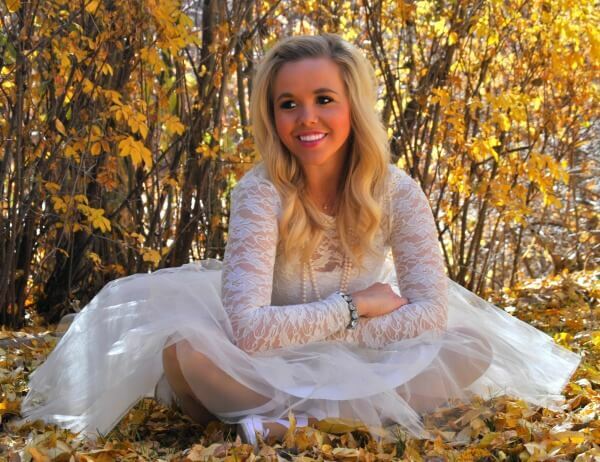 Halloween must be one of my favorite holidays and it is the perfect weather in Utah right now to celebrate. Crisp dark nights, falling leaves and decorations galore. I decided to go as a “Swan Lake” ballerina this year (needed something work appropriate for our Halloween potluck)! 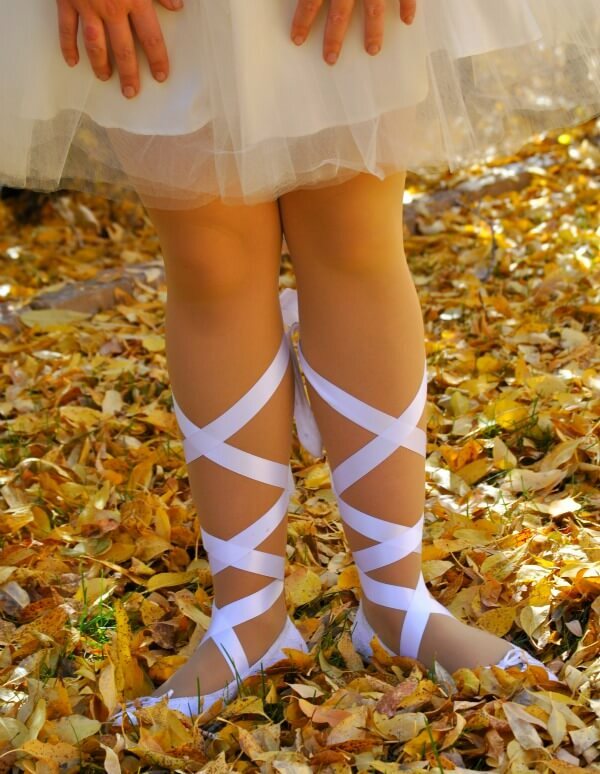 And whats even better, is that other than the ribbon, all of this came from my very own closet. Sometimes it is fun to see what outfits you can make out of already purchased items! What are your Halloween costumes or plans like tonight?! But no matter what your plans, make sure to stay safe out there and have a “spooky” time! So this week, as you can tell, I have accessories on the brain!! Yes, J.Crew made the statement crystal necklaces famous, but now with so many great sites, you can get some amazing pieces for a fraction of the cost. 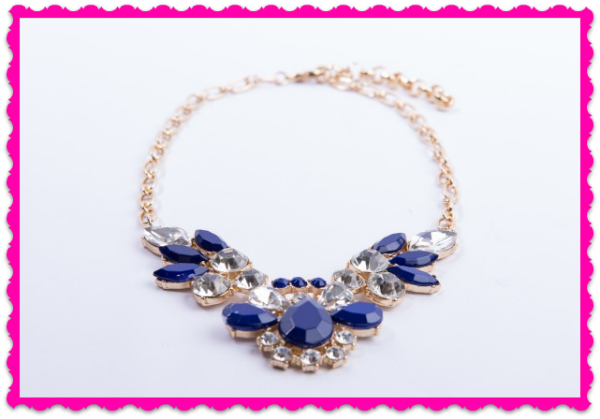 These are some of my favorite accessories being featured on Groopdealz right now! 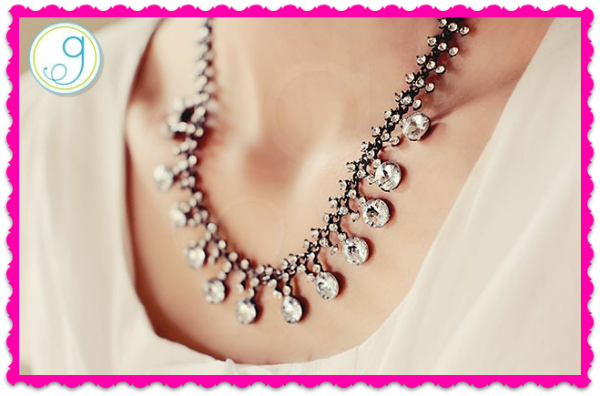 The fun crystal necklaces are so affordable and can make any outfit really stand out. Good morning…I hope everyone is having a great Tuesday and thanks for stopping by today’s Trend Spin Linkup with Walking In Memphis In High Heels, myself and our Guest Host for the week, Agi from Vodka Infused Lemonade! 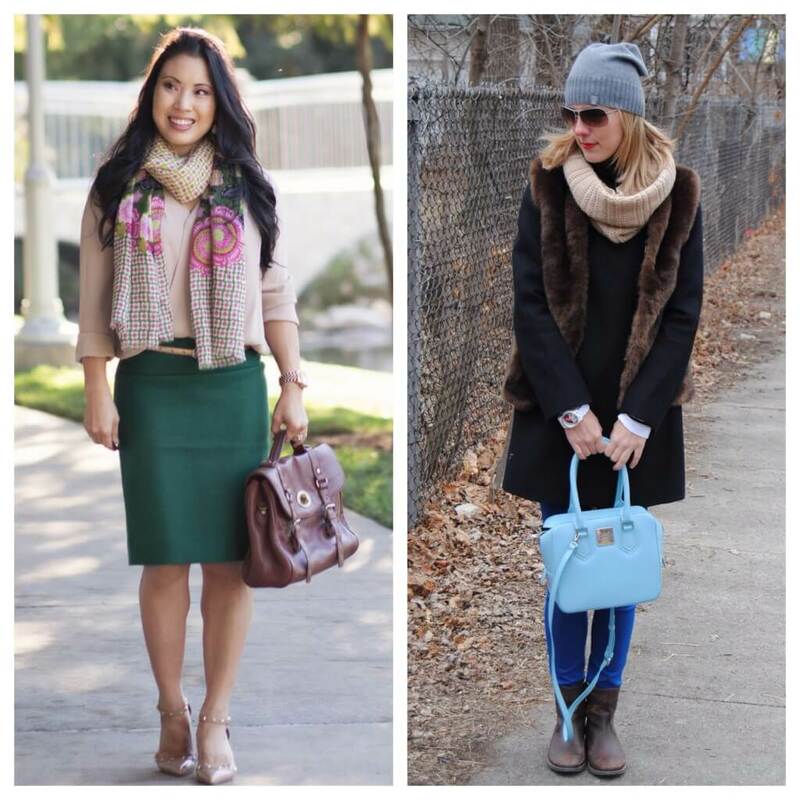 Meanwhile, here are two of our favorite looks from last weeks wool & fur! 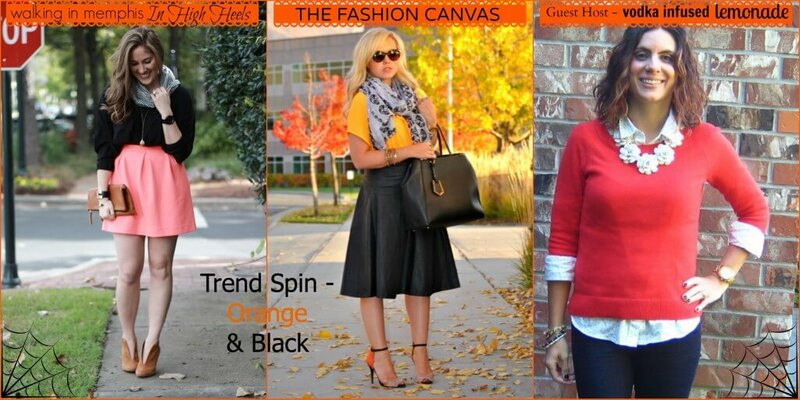 Today’s trend is ORANGE or BLACK! Get ready for this festive theme! 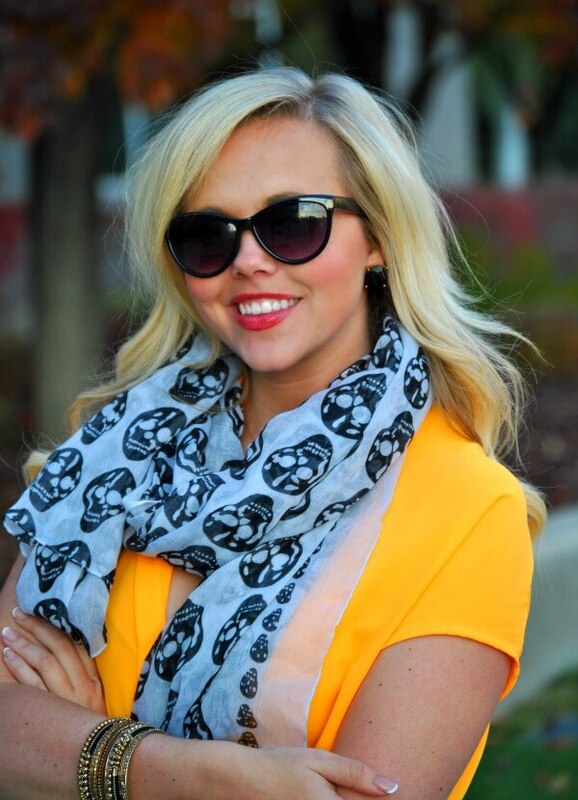 What better time to wear your Orange and Black for Halloween! 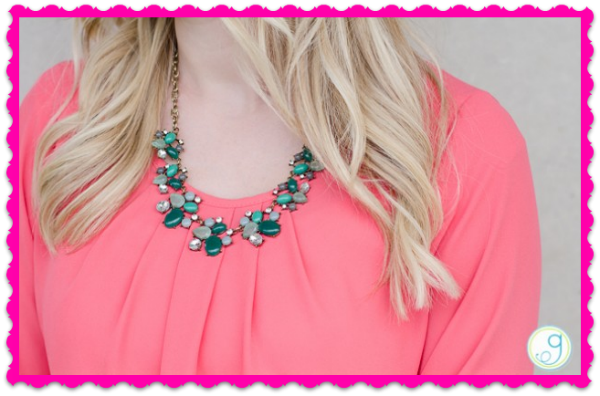 Next Tuesday’s trend (11/05) will be JEWEL TONES! I am loving the beautiful jewel tone colors, they are all over the runway, and I can’t see how everyone incorporates them into their daily fashion. Bloggers : All bloggers will be able to submit their post links via the inlinkz widget below every Tuesday at 12:00am with their take on our trend of the week. This will allow bloggers to show off their personal style, find new followers and meet some great fashionistas! You will also have the chance to be featured on our blogs the following Tuesday! So grab the button and link up. 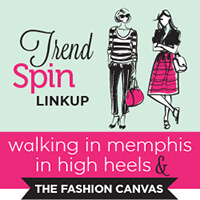 = ) For all bloggers we simply ask that you please follow your 3 hosts – Walking in Memphis in High Heels, The Fashion Canvas and It’s Not That Deep (the first 3 links in the linkup) and provide a link to the Trend Spin Link-up in your post or add the button below to your blog. Don’t forget to stop by Walking In Memphis In High Heels and Vodka Infused Lemonade to see how they wore there trend today. Leave a comment on my blog, and also on at least 5 other blogs! Last weekend, my cute mom and I went to the Witches Festival out at Gardner Village (in Salt Lake City, Utah)! 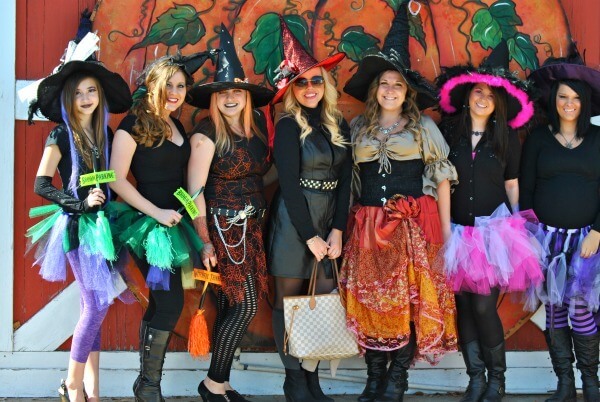 It is such a fun event around halloween, and I love seeing all of the other women dressed up as witches and the cute little kids in costume. Of course we had to take tons of pictures, eat yummy food and of course get the famous fudge from the darling candy shop. 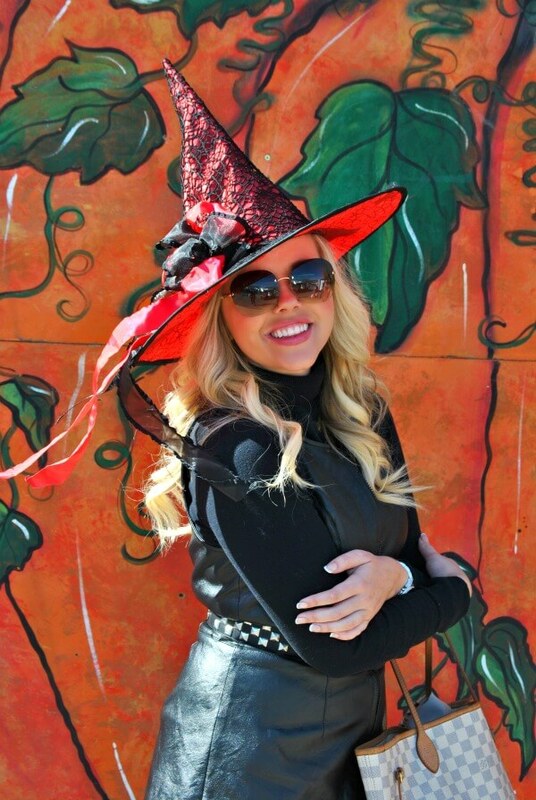 I decided to dress “witchy” in my black leather dress, knee highs and witches hat. 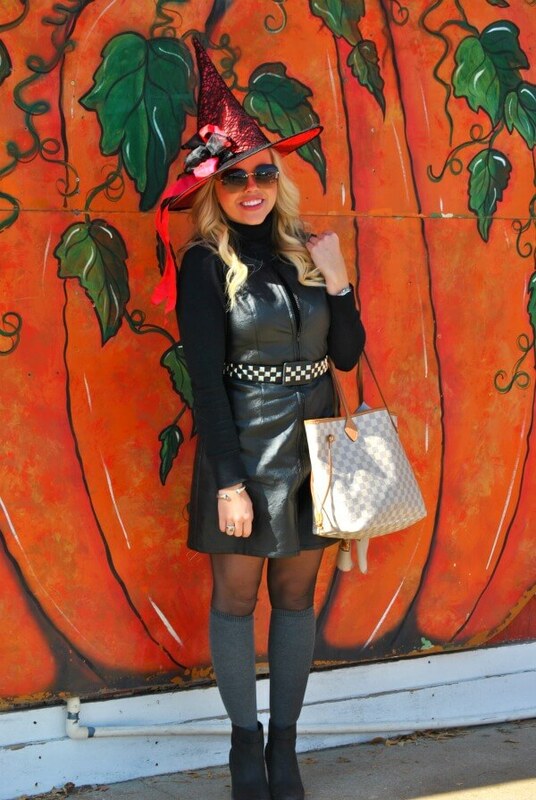 Check back all week for more Halloween inspired outfits!! Some cute witches I met and had to get a picture of their fun costumes! !